Preventing tooth decay is vital in terms of keeping teeth healthy and strong. Fluoride has been found to be the most beneficial mineral for keeping decay at bay, whether it’s applied at the dentist’s office or consumed via water or food. Used topically to strengthen teeth, this form of protection and prevention penetrates the enamel. How do I get this form of fluoride? Many kinds of toothpaste, oral rinses, mouthwashes, and gels contain fluoride in varying amounts. When you care for your teeth regularly using products containing fluoride, you are benefiting from its properties. It is recommended that children have twice-yearly professional applications of fluoride in the dental office. This type of fluoride is taken into the system via food and local water supplies. Not only does systemic fluoride strengthen the teeth, but it works on teeth below the surface, under the gums as well. If not enough gets to the system the “natural” way, it’s also administered by gel or drops. Fluoride is safe and extremely effective. However, it is important not to overdo it during development (birth through age 8) to prevent fluorosis. This causes white spots on the teeth. Fluoride varnish is a great, cost-effective preventative treatment. This form of fluoride is best applied after a cleaning appointment. It helps to prevent decay, sensitivity on biting surfaces, as well as root surfaces. 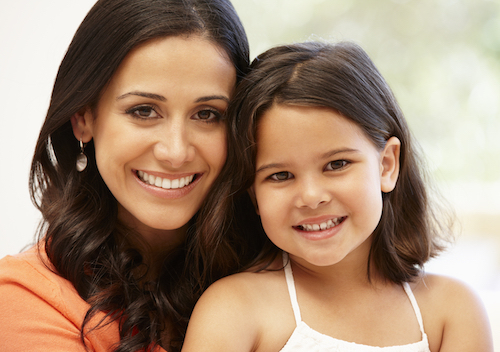 Don’t forget, along with your fluoride treatments and intake, healthy habits and good oral hygiene at home and with 6-month check-ups at Dr. Bowen’s office contribute to a decay-free smile.